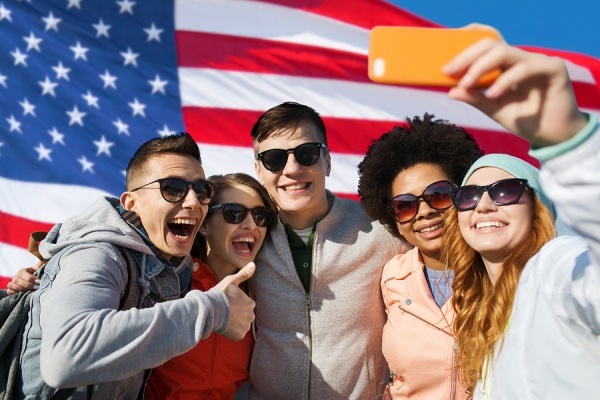 Even though Independence Day falls in the middle of the week (Wednesday) this year, that isn’t deterring millions of Americans from traveling during the holiday period. One source says that the weekend before the holiday will be busier than the weekend following. If you’re planning a Fourth of July trip, here’s what you should know: The number of travelers on the roads and in the skies is expected to set an all-time record this year, and the Transportation Security Administration is warning airline passengers about a requirement that could affect how you pack. AAA is forecasting that the number of Americans traveling more than 50 miles from home over the Fourth will reach a record 44.2 million, an increase of 2.9 percent from last year. The biggest increase will be in the number of air travelers, up 4.6 percent to 3.44 million– still a very small percentage of overall trips. As usual, driving will remain the most common trip method, with a 2.9 percent increase to 37.5 million travelers. The cost of travel has eased up from last year’s July 4th holiday, AAA notes, with gas at a nationwide average of $2.28 a gallon, down 4 cents from last year; domestic air fares down about 10 percent; and rental car rates about 14 percent lower. Hotel rates are about the same as last year, AAA said. The travel site Hopper.com says the busiest travel days will be Friday, June 29 through Monday, July 2, and Friday will be the busiest of all those four days. Hopper predicts that lines at the airport will peak on Friday the 29th from 7 a.m. to 11 a.m. It predicts that the airports with the longest lines will be Atlanta, Chicago O’Hare, New York JFK and Dallas/Ft. Worth. TSA just started an effort to make summer air travelers aware of its rules for powdered substances – specifically, containers that hold at least 12 ounces or 350 milliliters of powder, or anything about the size of a soda can. Any container of something powdered that exceeds that size should be packed in your checked luggage, TSA suggests. And starting June 30, TSA wants foreign airports to implement a similar rule for flights bound to the U.S. Containers of powdered substances smaller than that can go in your carry-on, but they should be removed when you pass through security just like containers of liquids or gels, and even then you might be subjected to secondary screening (unless the powdered substance consists of baby formula, medically necessary substances or human remains). And where are people going for the holiday? AAA says that based on summer bookings through its travel agencies, the number one destination is Orlando, thanks to new attractions at local theme parks there, followed by Vancouver, Cancun, Seattle and Punta Cana, Dominican Republic.